Holy Schmolly! 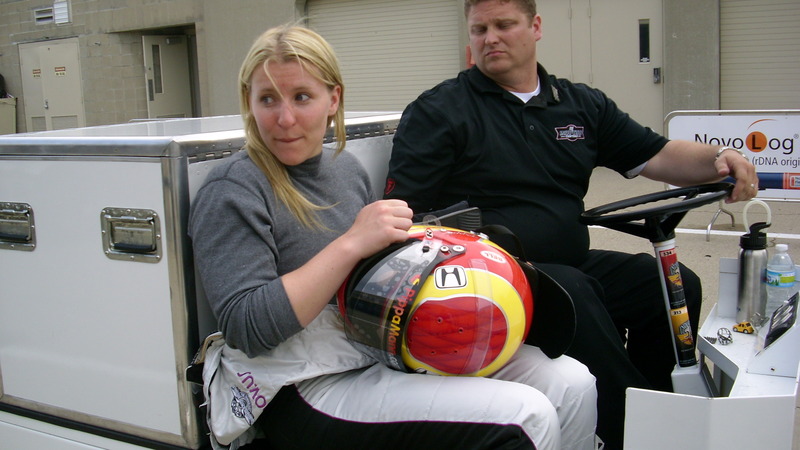 I just woke up from a short vacation in St. Pete, disappointed that I did not cross paths with local rising motorsport star Shanna Mac, only to find that Jenna Fryer got Scooped on a story the esteemed Pressdog feels she sat on too long. Robin Miller broke the story in the dark of the night Tuesday evening and by noon Wednesday, the motorsports world was falling all over themselves spouting such wisdom as: a coach had sacked his assistants; bloom was off the rose; treats symptom but illness remains. My, my, my….talk about a rush to judgment! Miller gets a pass because he has had a virtual War of the Roses approach to the ongoing tenure of Brian Barnhart. No, he DOES NOT get a pass…..nor does the other proffered but useless opinions. In fact, few of them move my needle very much. They…just….don’t. What more could I possibly add to this mumbo gumbo? Nothing to see here so move along, folks. Shall we move in a different direction? Heck ya! Barnhart had to go; of that there is no mistaking. Is the series at a watershed moment? I don’t really think so. Things will be different, but yet they will still remain the same. Take a breath, drop to a lower number and see whom inherits the reigns of Indy Car Race Control. Drop by and leave George a note about your take on his fine article! WHAT’S WRONG WITH THE DW12 CAR ?? Will balance issues get sorted out? I cannot go into this posting without acknowledging the 30 day passage of time since the ill-fated Vegas race and it’s tragic aftermath. Right off the bat, I must share with you this link to an unbelievably moving testimony of the affection that was shared between Tony Kannan and Dan Wheldon. This is a locally produced news organization video that was conceived and produced by Indianapolis television station WISH TV8. TK bares his soul and comments on what went through his mind while he and Vitor Miera competed in a Miami based triathlon shortly after Dan’s death. In a burst forth of tantalizing video journalism, the local Indy channel captured some very private yet candid moments with Tony Kannan. This is most certainly about healing and being healed……. And now, today’s topic: Seems to be a little “issue” with the DW12 on super ‘not-so-speedy’ speedways. Not to dive in too deeply into the engineering on how a high velocity vehicle rotates when going into and exiting a turn but, it sure seems that therein lays the problem. For purposes of our quick discussion, let us first discern the difference of a loose versus a tight race car. On one of the stellar Versus broadcasts of the Izod Indy Car Series during the 2011 season, Wally Dallenbach gave the most comprehensive, yet simple explanation of the terms tight and lose. If the car is tight, you hit the wall with the front of the car. If the car is loose, you hit the wall with the back of the car. Seems simple enough to me! 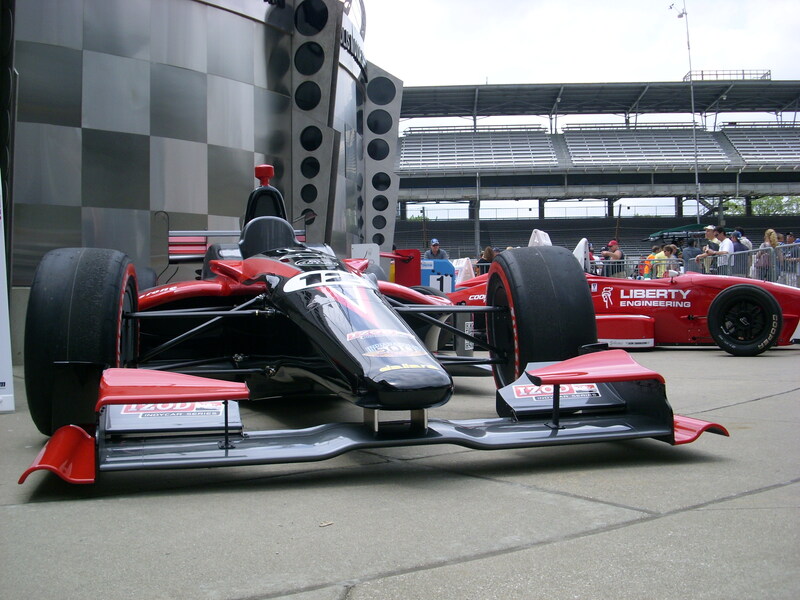 Recent rumblings and writings on the topic by none other than the highly esteemed Robin Miller shed some insight into the discoveries made at Indy by the late Dan Wheldon and they were evidently confirmed by T.K. and Dario during testing that ended on November 5th. No, this is NOT going to turn into an R.M. love fest! Miller’s legs are not all that pretty……..but I do want to give a shout out to the ongoing herculean efforts of Pippa Mann. She still posts on twitter even slogging through the pain and painkillers as she recovers from her incident at Las Vegas. This is one hard working Senorita and remains one of the most approachable shoes in the paddock. If you have something for her to sign, take it to the bank, it will get signed and with a smile! Now go and get some sponsors or your rich uncle to sign on or open the check book. It was kind of her to not complain when I used her photo from the garages at Indy as the lead in picture to my last post. 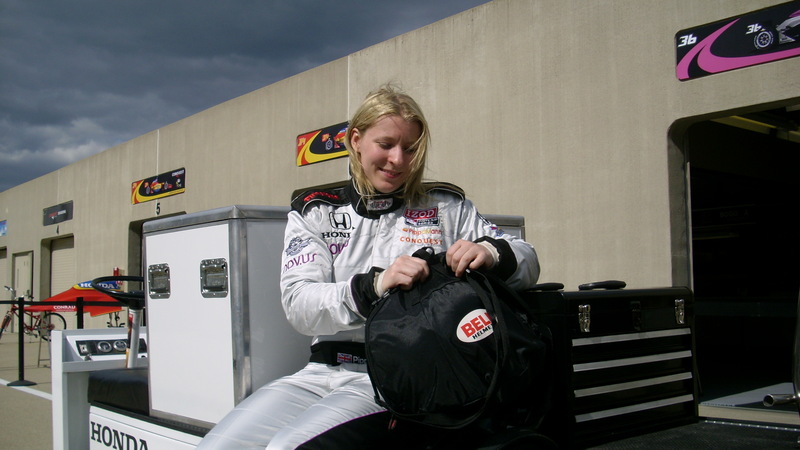 The day Mr. Bachelart signed her to run Indy, she was so overcome with emotion that she just had to run out and be a guest on the Don Kay Autosportsradio.com show. That night I tried to box Pippa in a corner and get a negative quote out of her regarding another driver and she passed the ‘don’t take the bait’ test. She is obviously a TEAM player and I hold that in high regard! I still wonder why so few have jumped on the Pippa bandwagon. She is a sponsor’s dream and hopefully, they acknowledge that. Where ARE the sponsors? Missing out they are! Give this lady a ride for God's sake! GForcePaul is on temporary assignment seeking a replacement for his day, techie job. This column will return in the next few days with a feature about…..you did not seriously think I would divulge such info, now did you? I didn’t do it for the love, I did it for the money, SIR! It was quite a bit more then a shock when I read about the city of Austin, Texas being chosen to host the next incarnation of the USGP. Everyone knows that one of Mr. Ecclestone’s spectacles comes to your town for a princely sum and nothing less. My post back in August talked about the $25,000,000 to be put up each year by the state of Texas to support the ongoing USGP. You are smoking those left handed cigarettes if you think that the citizens of the People’s Republic of Texas will continue this very long. I also doubt that Eddie Gossage would remain silent and not speak up on the topic of subsidies. Given the elevation changes and the general layout of the course, it sure feels like Monaco. I cannot fault the beauty of a Manhattan skyline as a killer backdrop. All I can say is time will tell. The future picture will look a lot different 6 years from now if both Austin and the New Jersey venues continue to operate under the guise of an F1 sanctioned event. That adds up to 50 million in today’s paltry U.S. Dollars. See? Like the title says, I did it for the money, SIR! Since this is supposed to be an open wheel column and not just a motorsport electronic rag, I would be remiss if I failed to chat up the recently completed Chris Griffiths Memorial Road to Indy Test. A great time was NOT had by all, especially if you ask Woman of Press Dog Shannon McIntosh. She was transmitting on 453.8375 on Saturday and she was just coming out of the pits from yet another stop to chase an engine performance issue when the checkered flag fell. The session was shortened and I am guessing that an ambient temp of 52 degrees had something to do with it. As for the results, well; that has been covered by many scribes and is old news. But please DO enjoy these 2 links from the Saturday afternoon session. Sorry for the stupid, amature footage; I shake a little after some of Fuzzy’s best. It tastes sooooo good. Right, Ed?